More than 1000 residents have been evacuated from Groote Eylandt and Numbulwar with another 1000 people being moved out of Borroloola, the McArthur River zinc mine, Robinson River and other communities all along the Gulf of Carpentaria coast to Queensland. The entire NT Gulf coast is on flood watch with gale-force winds, heavy rain and storm surge extending 300km from the eye of the cyclone. 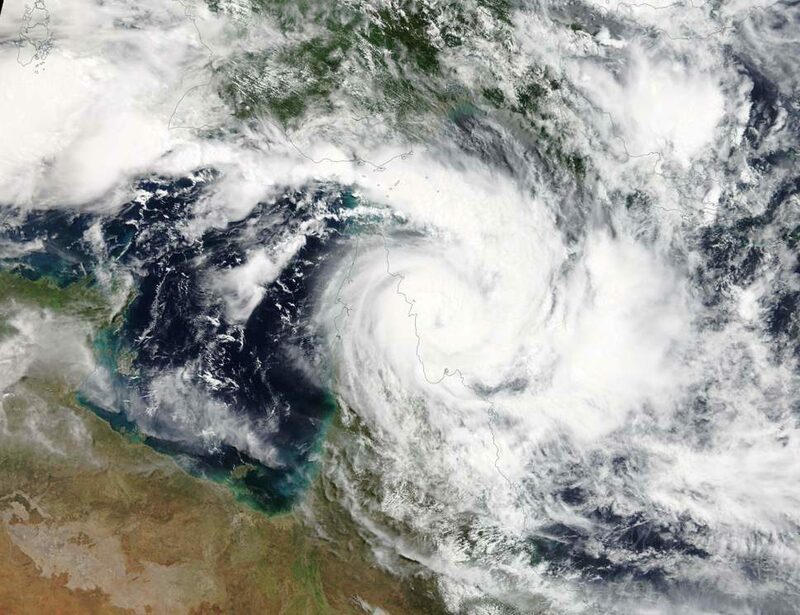 As Cyclone Trevor tracks across the Gulf of Carpentaria, the Bureau of Meteorology is forecasting that the cyclone will make landfall between Borroloola and Groote Eylandt during Saturday as a category four severe tropical cyclone. Not blaming anything on God. He is the one allow the shaking coming upon this sin cursed Nation. He trying to wake people up before it's too late if it isn't already. Cern, um wonder what there up too!!! aLL LIES, WE ARE EXPERIENCING THE LOWEST NUMBERS OF CYCLONES IN RECORDED HISTORY AND PROBABLY THE LOWEST IN 500 YEARS. tHE STRONGEST CYCLONE VER RECORDED IN aUSTRALIA AND THE ENTIRE SOUTHERN HEMISPHERE WAS 150 YEARS AGO! Oh dear, I'm a weather enthusiast, but appear to have stumbled upon a site attracting drongos ... more nuts here than at a Sydney Mardi Gras parade.